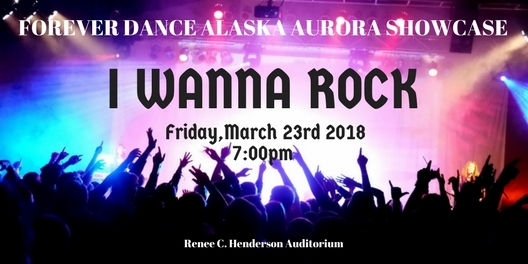 Join the Aurora Company Dancers for their annual showcase on March 23rd & 24th, 2018. This year’s production is an epic ROCK SHOW featuring the music of 80-90’s rock icons. 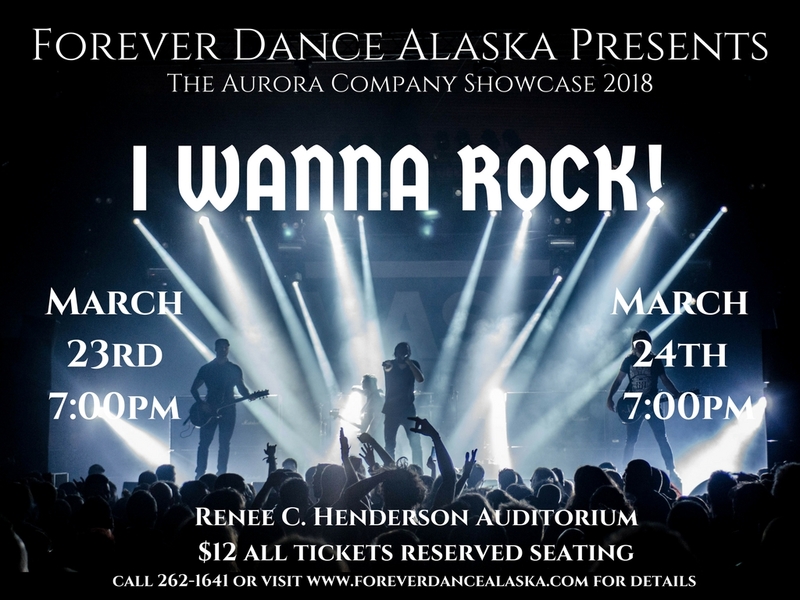 Metallica, AC/DC, Guns-n-Roses, Motely Crew, Pat Benatar, Stevie Nicks, Nirvanna, Run DMC, are just a few of the amazing artists our dancers will be rocking their talents to. Our incredible choreographers have created pieces that will transport you back to this epic time of rock music. We are so excited to also be the first production at the Renee C. Henderson auditorium to use a deconstructed set! That’s right, NO wings, NO scrim, just raw stage, epic lighting, and our talented dancers. This production will truly look and feel like you are in a rock concert. Don’t miss guest performers, The Mabrey Brothers Band as well as other special cameo appearances. Tickets are available for purchase starting Wednesday, March 7th at 6:30pm. Tickets can be purchased at the studio or at the door for $12. This is an all ages, family friendly show! Support the arts on the Kenai and enjoy a night of quality entertainment! Please call the studio at 262-1641 with any questions. Thank you and see you at the show! !